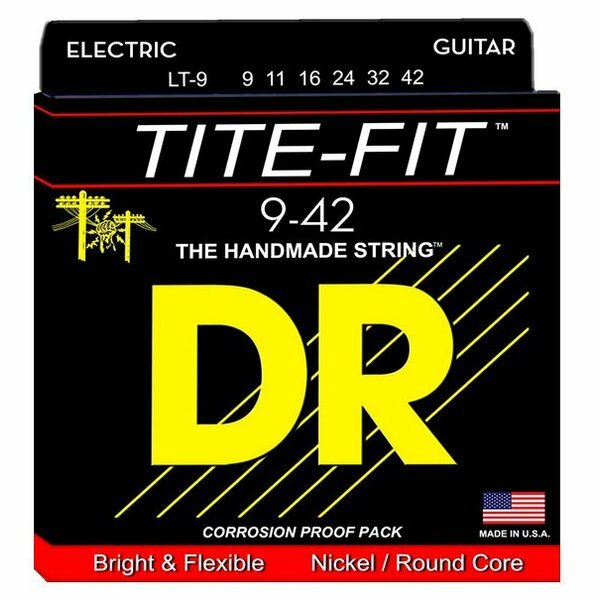 Tite-Fit round-wound nickel-plated electric guitar strings are designed to be a great all-around string. They are available in a wide range of gauges. Tite-Fit round-wound nickel-plated electric guitar strings are designed to be a great all-around string. They are available in a wide range of gauges. Based upon a round core, the construction techniques for the Tite-Fit electrics are very old. 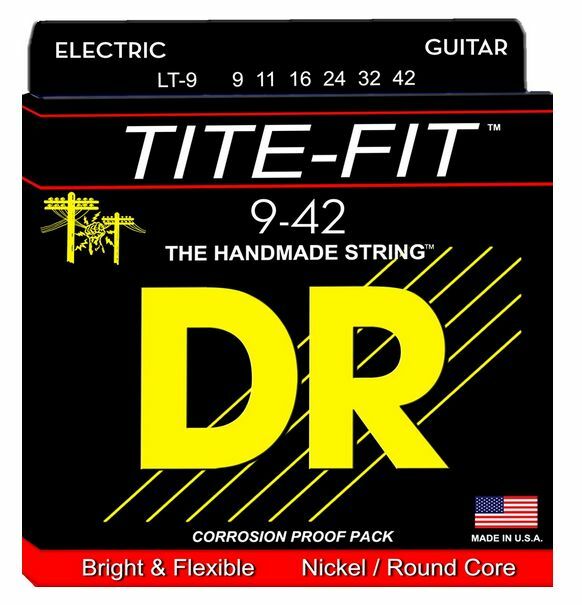 However, the core wire and wrap wire in DRs are the latest, most advanced and expensive metals available. For flexibility, for tone, for long life: for Rock, Blues, Heavy metal, Jazz. Tite-Fits are a wonderful all-around string.